Missed this one back in September 2017. Lazarus was performed in memory of our dear friend, Graham Payne who passed away earlier in 2017. Graham was a constant member of Christian Voices for many years and is greatly missed by all who new him. 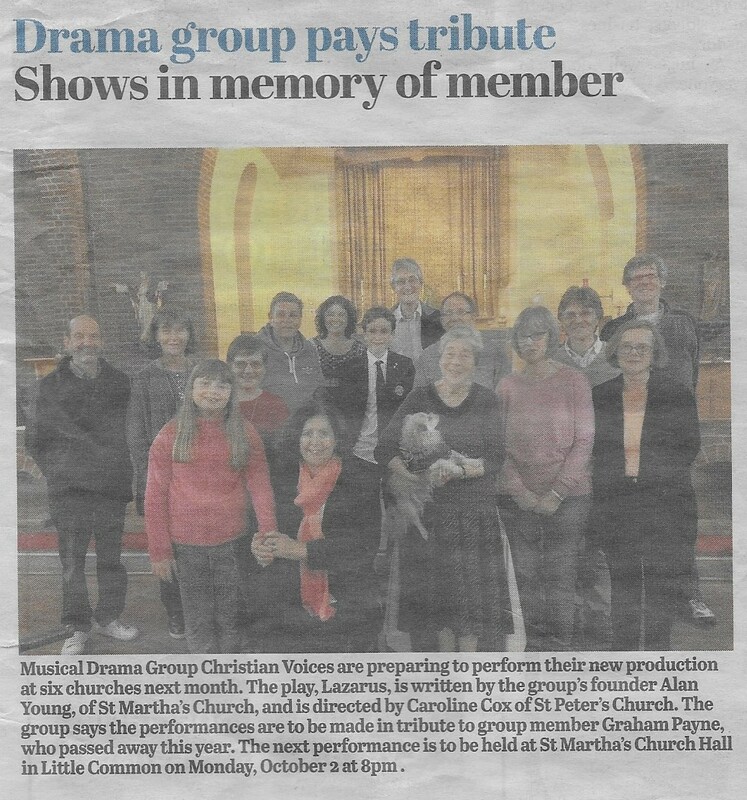 Posted by christianvoicesbexhill on 25/02/2018 in News, Performances, Press and tagged News, Performances, Plays, Press.